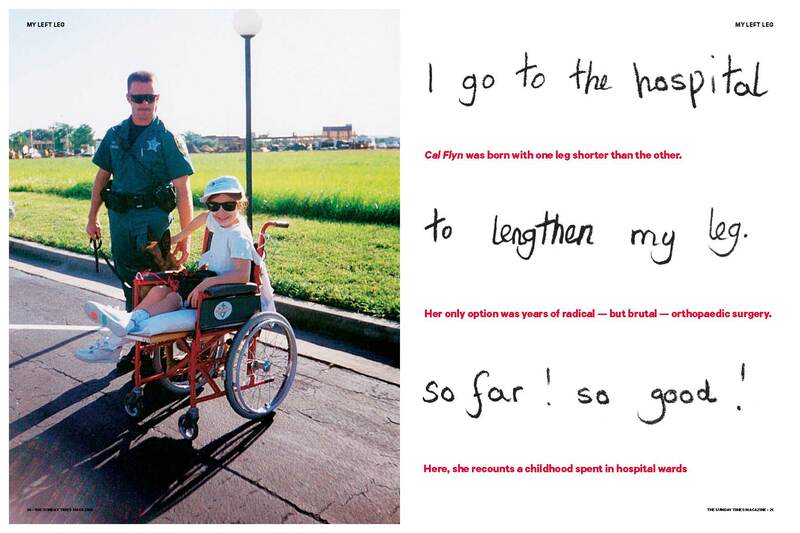 My account of my childhood experience of disability, a result of being born with one leg shorter than the other, was published in the Sunday Times Magazine this weekend. 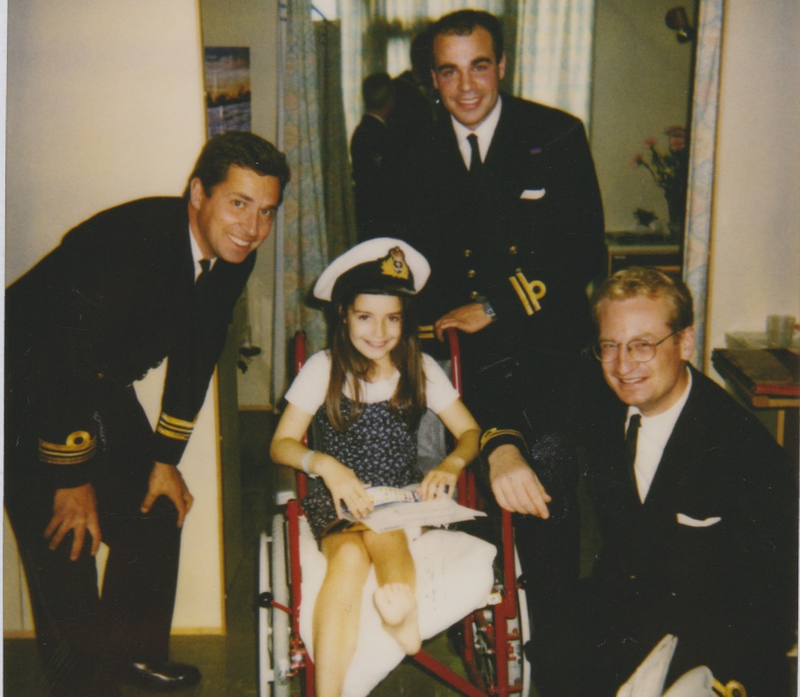 I was in and out of the operating theatre more than 20 times by the age of 15 as I underwent leg-lengthening treatment using an external fixator (and a second approach, which slowed the growth of my stronger, right leg). Left untreated, the discrepancy between my legs would have reached between 10cm and 15cm. Thanks to the wonderful care and treatment I received at The Royal Hospital for Sick Children in Edinburgh, there is now little evidence that this was the case, and I live a very active lifestyle. The only reminder is the network of scars that track my legs: up either side like Adidas stripes, a silver slash over one hip, a line like a zip up the front of my left thigh. Full text of the article and the PDF clippings are available on the Sunday Times website here, and after the break. A shorter version of this article was also reproduced in The Week magazine. I went undercover for this Sunday Times investigation into the ‘essay mill’ Oxbridge Essays, posing as several students seeking to cheat in their undergraduate degree. As part of the sting I set the company my own dissertation title from my university days, then handed the first two-thirds of Oxbridge Essays’ offering to my former supervisor Miles Hewstone, professor of social psychology at Oxford University, to have it assessed. He said: “The whole thing has a bit of a cut and paste feel… the main complaint is that they have not included any work since 2010 — there’s no way you would get a first for that. There is some loose language too. Full text of the resulting article, plus an audio recording of my conversation with Paul Serrecchia, one of Oxbridge Essays ‘academic consultants’, is available on the Sunday Times website here, or after the break. 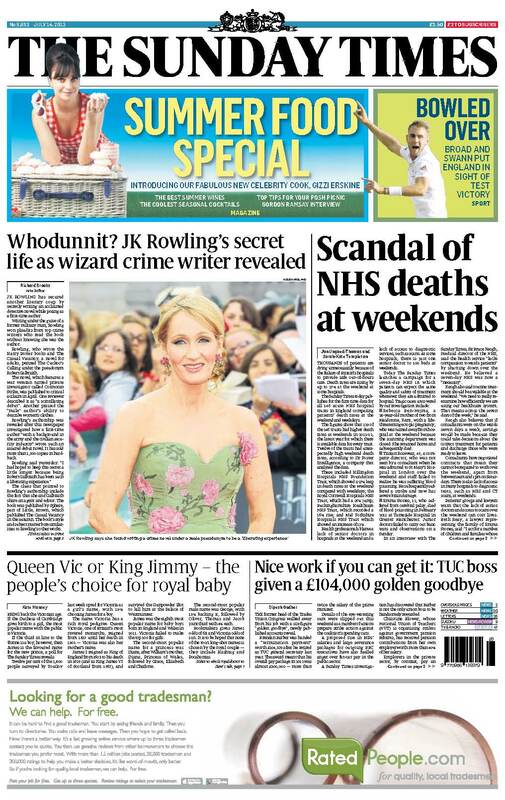 I worked on the investigation in The Sunday Times last weekend that revealed JK Rowling to have secretly released a crime novel for adults, under a false identity. She posed as Robert Galbraith, a former military policeman, when her latest novel was released in March. A Cuckoo’s Calling was warmly reviewed but sold fewer than 2000 hardback copies. Since our article was published, sales of the book on Amazon have leapt by 150,000%. I’m not credited on the front page, but shared a byline with arts editor Richard Brooks on the inside write up. 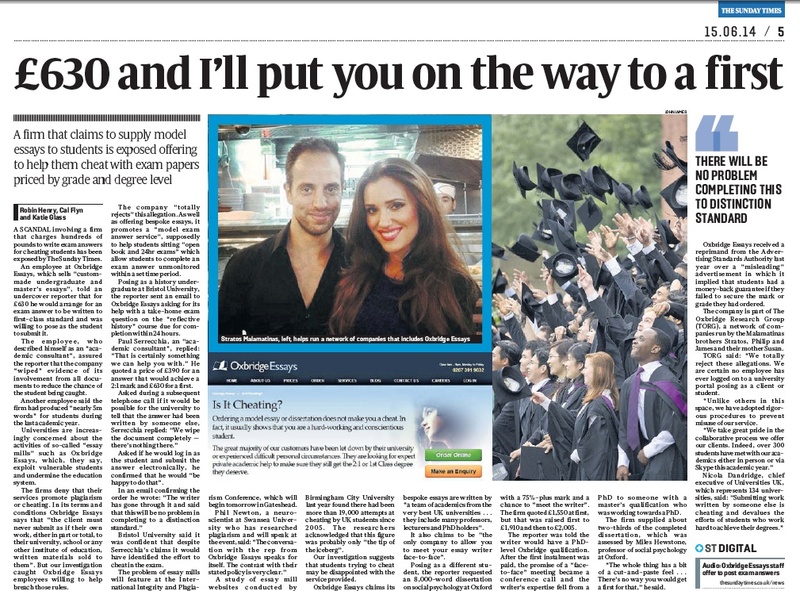 Full text can be found on the Sunday Times website here, or after the fold. 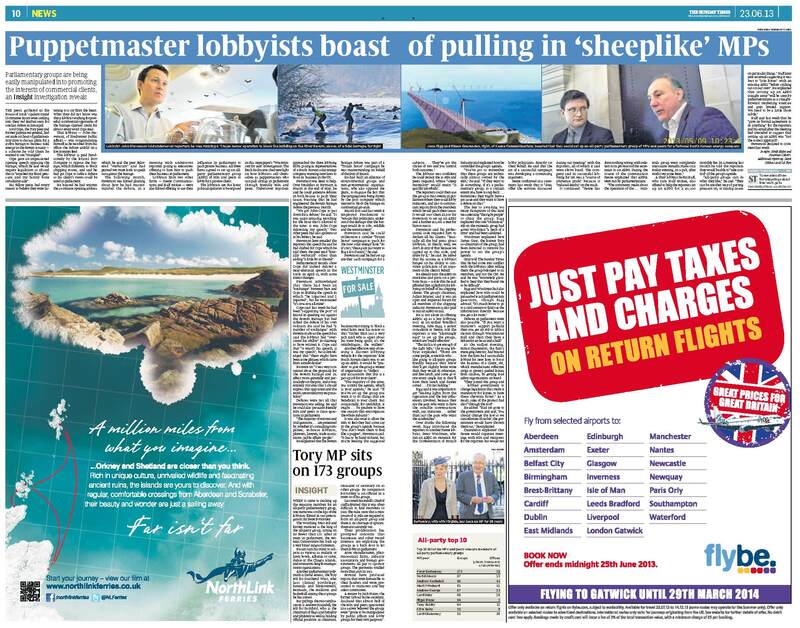 Insight were back on the front page of the Sunday Times this weekend, with the latest addition to the ‘Westminster for Sale’ investigation. I worked on the reporting team. Full text of the three resulting articles is available on the Sunday Times website, or after the fold.